In the upscale neighborhood of Koramangala, D Habitat Serviced Apartment offers well-furnished apartments with free Wi-Fi and a kitchenette. 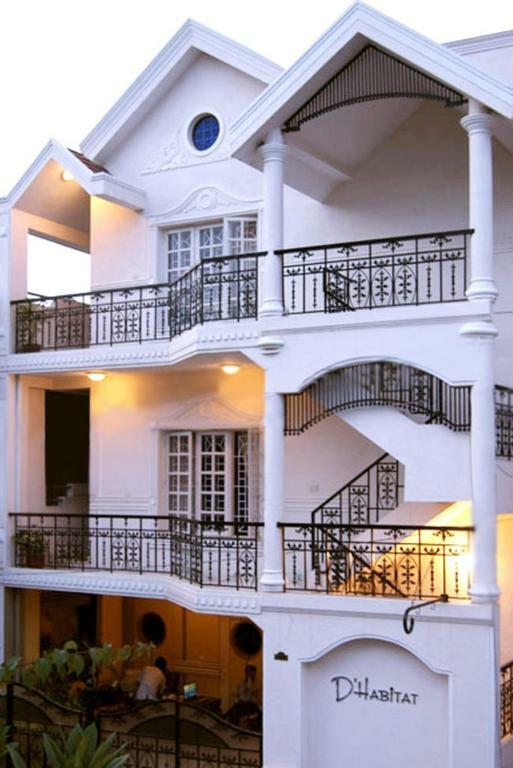 Apartments enjoy full privacy and are securely guarded. A free daily breakfast is provided for all guests, while room service is available 24 hours. 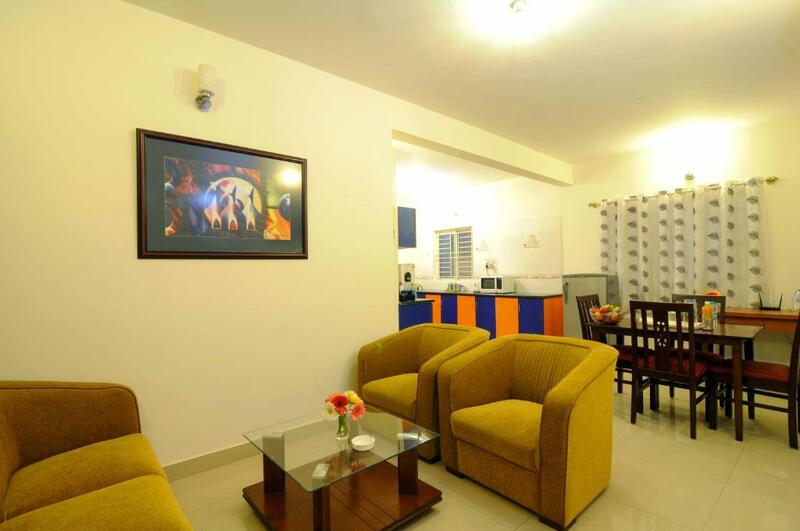 Spacious yet cozy, all apartments feature a living room with a TV and DVD player. Kitchenettes have a microwave and coffee machine. Private bathrooms are equipped with a shower. 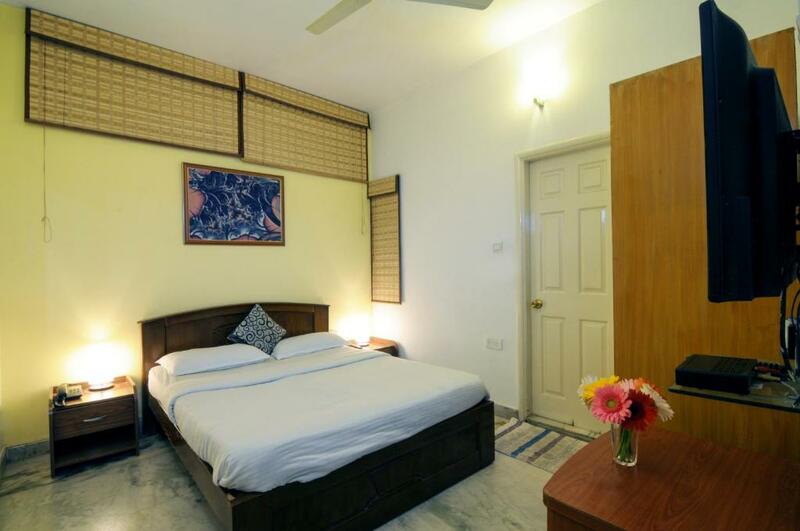 D Habitat Serviced Apartment is a 2-minute walk from Koramangala Club and 0.6 mi from Forum Shopping Mall. 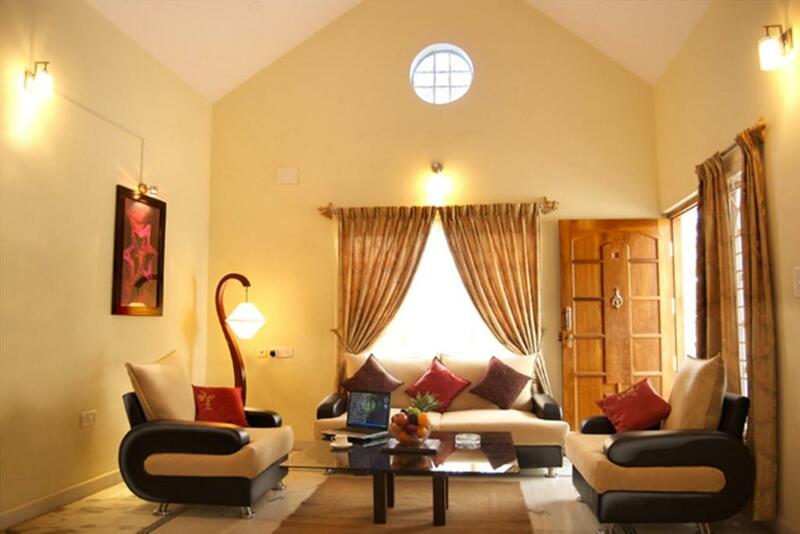 It is 7.5 mi from Bangalore Central Railway Station and 25 mi from Bengaluru International Airport. Day trips and car rentals can be arranged at the tour desk. The property also provides laundry and dry cleaning services. 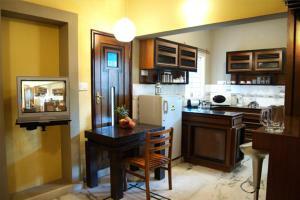 When would you like to stay at D'Habitat Serviced Apartment? This well-furnished apartment comes with 1 bedroom, a separate living room, dining area and a fully-equipped kitchenette. It includes a personal safe, a cable TV with DVD player and a fridge. Private bathrooms offer shower facilities and free toiletries. This well-furnished apartment comes with 2 bedrooms, a spacious living room, dining area and a fully-equipped kitchenette. It includes a personal safe, a cable TV with DVD player and a fridge. Private bathrooms offer shower facilities and free toiletries. 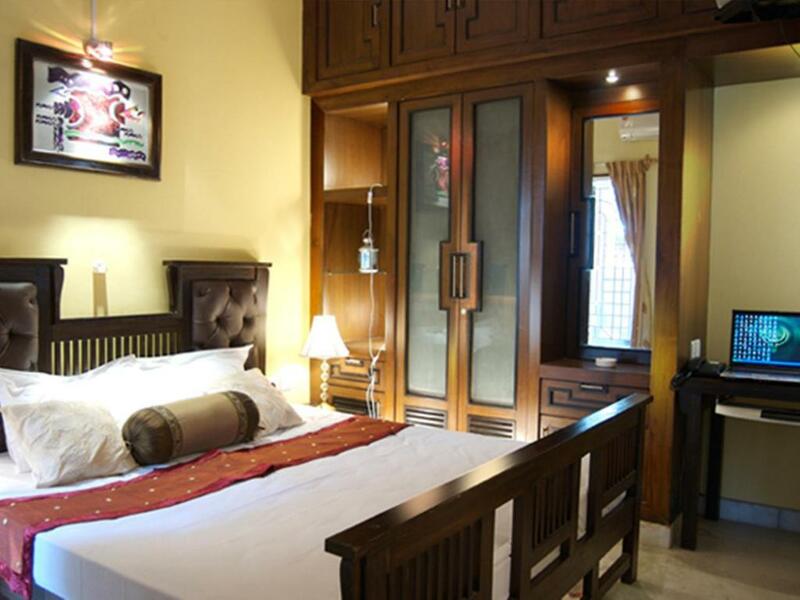 Apartment includes 2 queen-size beds and can accommodate up to 4 guests. Air-conditioned rooms come with a seating area, work desk, tea/coffee maker and flat-screen satellite TV. The attached bathrooms include shower. House Rules D'Habitat Serviced Apartment takes special requests – add in the next step! D&#39;Habitat Serviced Apartment accepts these cards and reserves the right to temporarily hold an amount prior to arrival. D'Habitat Serviced Apartment accepts these cards and reserves the right to temporarily hold an amount prior to arrival. Please inform D'Habitat Serviced Apartment of your expected arrival time in advance. You can use the Special Requests box when booking, or contact the property directly using the contact details in your confirmation. Television is not connected with channels, and they have not shared the Wifi password. Calm ambience without any hustle and bustle of city. Also equipped with all amenities as a residence and well furnished, well house kept apartment. The location is convenient. A lot of restaurants and shops near by to help. Swiggy does food deliver here. Hosts are very helpful and cooperative. Price is value for money. I will return back to this place in the future. The picture of the property which is shown in website is totally opposite. They have rented few property in the locality there are tenants who are staying in that building. I didn't like the place so I asked them to provide me 1 bhk in the same building and they said it's only 2 bhk and i had to pay 1000 and there was no AC working coz there was no power this is redicules. 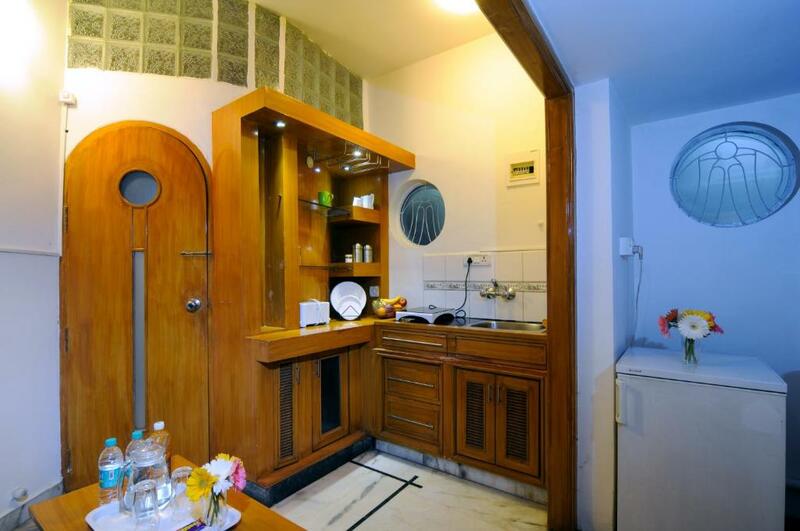 There is no kitchen in the property you will have to order it from swiggy or Zomato. Standard need to improve as compare to 3 star rating. Location was good. Staffs were always eager to help.